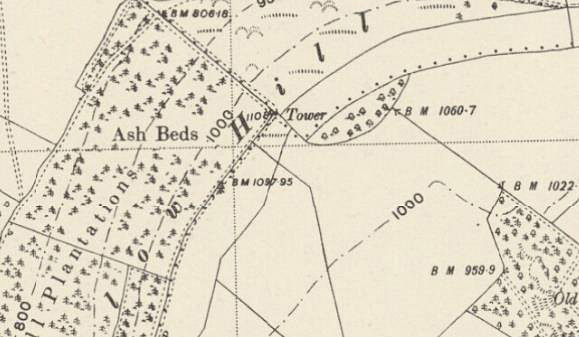 There has been a Significant Height Revision to a hill that is listed in the Tumps, which was initiated by a survey with the Trimble GeoXH 6000 which took place on the 4th May 2018 in the company of Bob Kerr, with clear and calm conditions on the hill. 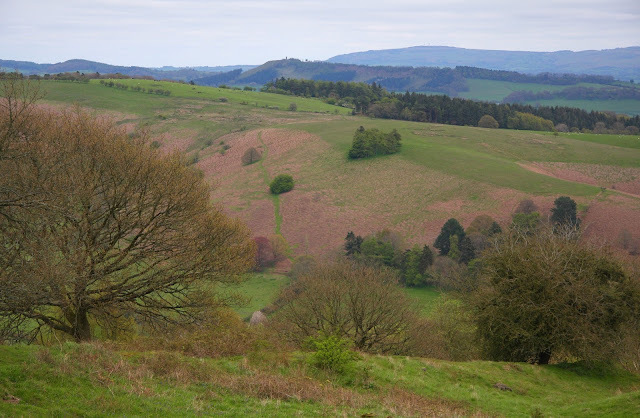 The name of the hill is Callow Hill and it is situated in Region 38 the Welsh Borders and in Section 38A Shropshire. 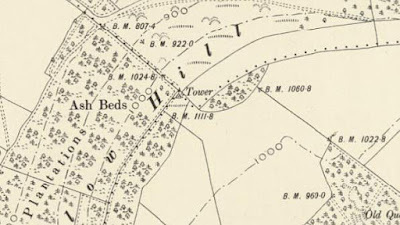 The hill is positioned between the A 49 road to its north-west and the B 4368 road to its south-east, and has the small town of Craven Arms towards its south-west. 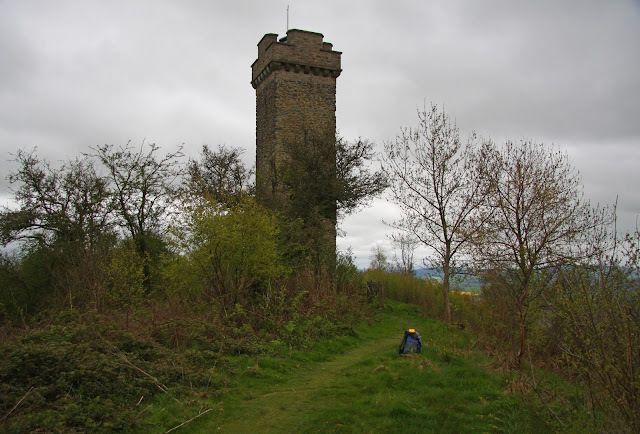 The summit of the hill and its upper north-eastern section comprises mixed woodland which is a part of designated open access land, with public footpaths accessing this land from the north-west and the east. 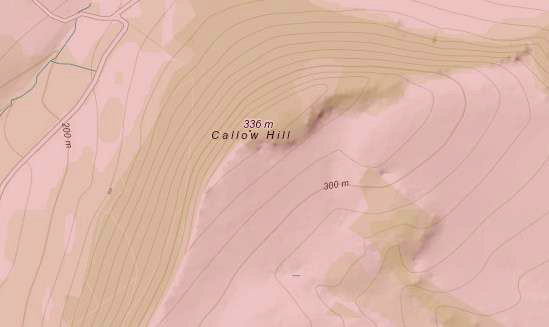 Prior to the survey with the Trimble GeoXH 6000 this hill was listed with a 336m summit height which is based either on interpolation from the uppermost 335m contour ring on contemporary Ordnance Survey 1:25,000 Explorer maps, or it is based on a 336m spot height that appears on maps such as the one shown below. 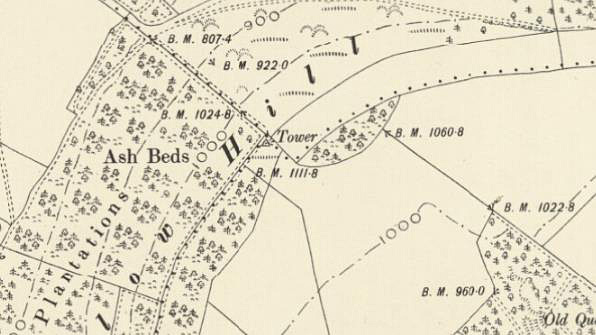 The Ordnance Survey series of Six-Inch maps also show heights that are higher than the 336m listed height; two examples are also given below. This hill has a 24m (80ft) high stone tower near its high point that is known as the Flounders’ Folly, and two data sets were taken from land close to the base of this structure, with the first approximately 30 metres from the tower and the second approximately seven metres from its base, the land at the first survey was given as higher by the Trimble GeoXH 6000 survey, with the caveat that the highest land on the hill was judged visually to be on a small raised earthen embankment that is a part of a boundary hedge, as this was considered a relatively recent man-made boundary it was judged not to be a natural part of the hill. 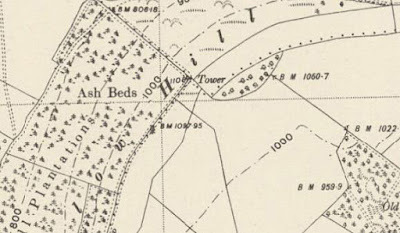 The summit of this hill is easily identified and consists of grass beside the narrow path that follows the summit ridge in a north-eastward direction from the stone tower, with the caveat that ground in a boundary hedge was visually higher but judged to be man-made. 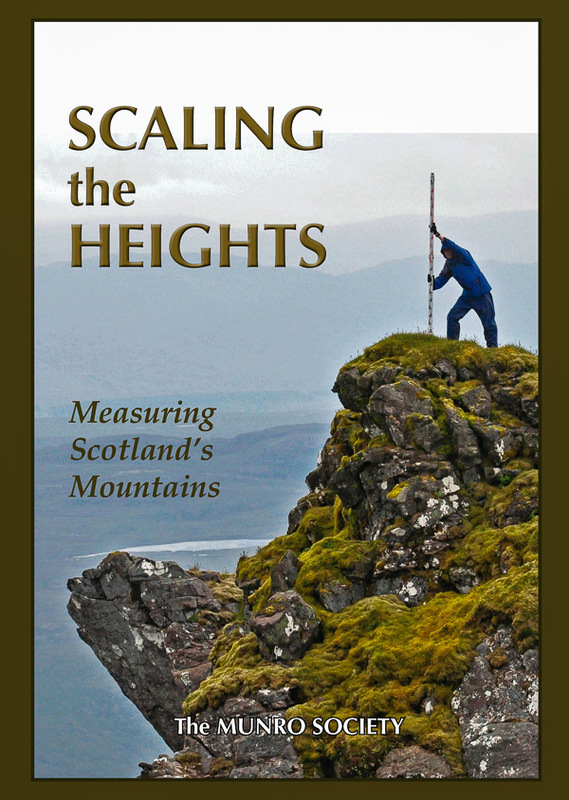 Therefore this hill’s new summit height is 339.1m (converted to OSGM15), which is 3.1m higher than its previously listed height which came from interpolation or a spot height.